There are different types of pharmacies: the traditional kind that only sells medicine, and the more modern, multi-function store that has a bit of everything from toiletries to light snacks. 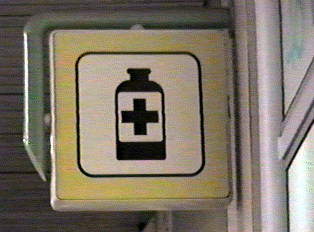 In theory, a prescription is required for behind-the-counter medicines, but in practice, the pharmacist will generally do a bit of diagnosing and then dispense the proper medicines. Pharmacies usually have someone on hand who can give shots and assist with minor injuries. Medicines are relatively expensive, and if the pharmacy is properly equipped, supplies such as aspirin and band-aids can be bought individually. remédio para dor de cabeça. remédio para dor de barriga.